Situated on Europe’s Iberian Peninsula is the gorgeous and historic country of Spain. This nation, with over 46.5 million residents, is home to a diverse array of cultures. Spain offers you stunning coastlines, architectural wonders and charming villages. Major attractions include Basilica of the Sagrada Familia in Barcelona, Alcazaba Fortress in Málaga and Plaza Mayor in Madrid. Pack your bags and get ready to discover this vibrant destination, because cheap flights to Spain are now available for a limited period! Spain’s hub airport is Adolfo Suárez Madrid-Barajas Airport (MAD), a 20-minute drive or a swift 10-minute train ride from Madrid’s city centre. Spain sits between the Atlantic Ocean and the Mediterranean Sea. Enjoy fantastic views from many alluring beaches, such as Cala en Porter on the Balearic Islands, Playa de Ses Illetes on Formentera Island and Playa de Las Catedrales in Lugo. A holiday spent in any of the country’s charming destinations will reveal plenty of architectural wonders. Famous buildings and landmarks include Bilbao’s Guggenheim Museum, Barcelona’s Parc Güell and the Great Mosque of Cordoba. 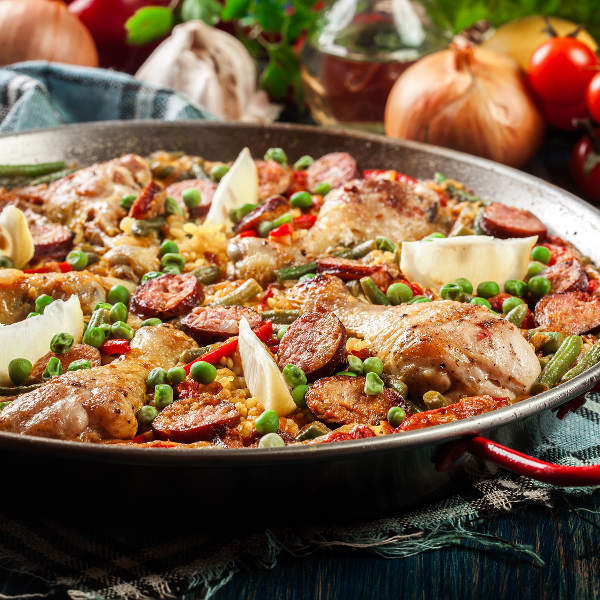 In Spain, discover an amazing collection of seductive flavours. Among the many delectable dishes that are on offer, make sure to try the pulpo a la gallega (Galician octopus) and the delicious gazpacho (Andalusian soup). The popular season of summer (June – August) is one you should avoid, if you prefer skipping crowds, low availability and high hotel costs. The towns and cities along the eastern and western coasts get plenty of visitors, guaranteeing crowded beaches. If you visit the city of Pamplona in July, make sure to book for later in the month. Visiting this city during early July will mean handling crowds of tourists who have come for the annual bull run. Northern Spain is a good place to visit during the summer, due to its relatively overlooked status. You can enjoy the wonderful hot days, but prepare yourself for plenty of rain. Other parts of northern Spain, such as Barcelona, are best visited during the late-spring to early-summer period (May – June). The summer crowds have yet to arrive meaning good hotel deals. As for the rest of Spain, including the capital Madrid, early autumn (September – October) is another good time to visit. The crowds of the summer will have left, guaranteeing you more hotel deals. An additional convenience is the still pleasant temperatures, giving you the ideal opportunity to enjoy the attractions of this part of Spain at your own pace. A holiday in Spain will reveal to you why this nation is one of the top tourist destinations in Europe. The country is home to a huge variety of stunning cities and charming towns. 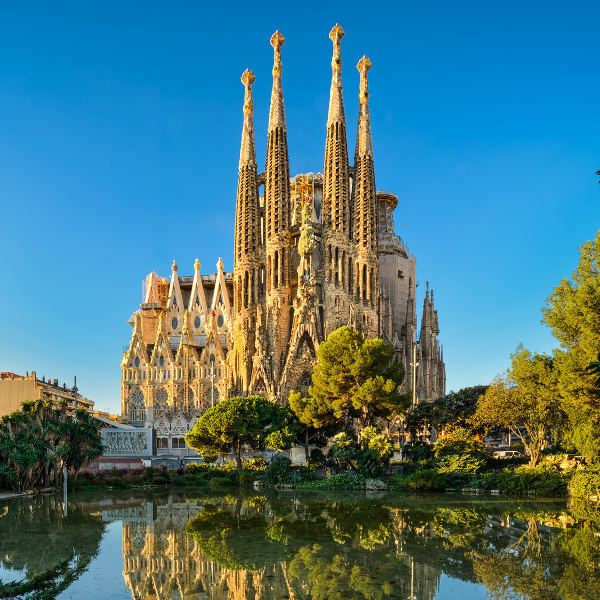 Each of these locations features Spain’s vibrant culture, a collection of alluring attractions and breath-taking sights. Discover magnificent Moorish palaces, stunning Roman ruins and alluring beaches. The capital, Madrid, is Spain’s largest city and the residence of the royal family. Make sure to explore this destination, which includes a wonderful heritage of art, beautiful architecture and an incredible history. Some of its top attractions include the majestic Royal Palace, the popular Plaza Mayor and the luscious Buen Retiro Park. Barcelona, situated in the northeast of Spain, sits on the coast of the Mediterranean Sea. 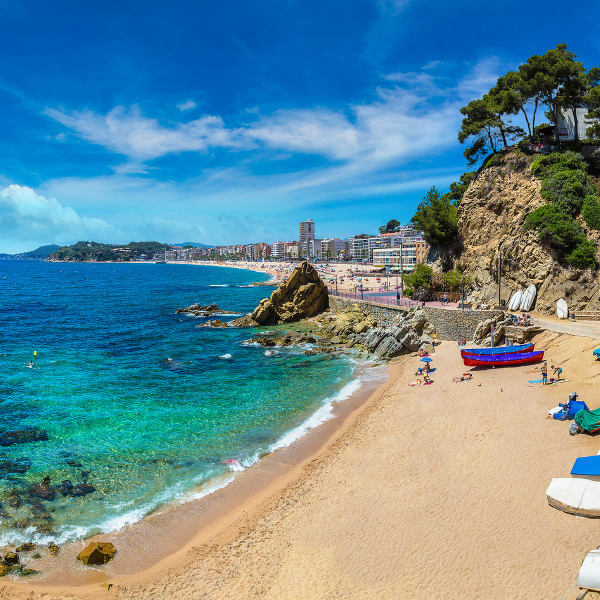 Formerly the host of the Olympic Games in 1992, it is a major destination of this European country, with its picturesque beaches, such as Barceloneta Beach, and exceptional architectural structures built by the well-known Antonio Gaudi. Another prominent destination in Spain is Valencia, a lovely city with a welcoming atmosphere. Treat yourself to its diverse array of offerings, including the museums, cinemas and theatres of the progressive City of Arts and Sciences compound. This destination is also home to one of Spain’s many UNESCO Heritage Sites: The La Lonja de la Seda. Málaga is another gorgeous coastal metropolis that is forever linked with the famous artist, Pablo Picasso. Discover the numerous iconic works of this creative genius at the Picasso Museum. Admire more historic ruins with a visit to the stunning Alcazaba fortress, which offers mesmerising views over the city and the Alboran Sea. Compare several airlines and book your cheap flights to Spain online at Travelstart! Get all the routine vaccinations before you depart for Spain. Furthermore, you may need vaccinations and medication for other diseases based on where you go and what you do in the cities of this European nation. These include hepatitis A (spread through contaminated food and water), hepatitis B (spread through sexual contact, contaminated needles and blood products) and rabies (spread through the bites of infected dogs, bats and other mammals). Violent crime is not a serious issue in many Spanish destinations, nevertheless, it would be wise to stay alert. Pickpocketing is a common problem around the world, so make sure you keep your valuables close and out of sight. If you’re carrying a bag, keep it in front of you at all times. Be careful around crowded areas and avoid gypsy women offering to read your future (this is a common pickpocketing strategy). Keep large amounts of money and your credit card hidden when in the open. When dining out, make sure to keep track of what you order so that you know the total you must pay when you are finished. Some waiters may try to charge you more. Tipping is optional and when you do so, 5-8% of the price is normal. If you are overcharged, bring it to their attention and ask for the menu again.